I feel like I'm stuck in a surreal place. Just about every economic indicator is screaming "batten down the hatches." And yet Victorians are snapping up real estate like it's life jackets on the Titanic. 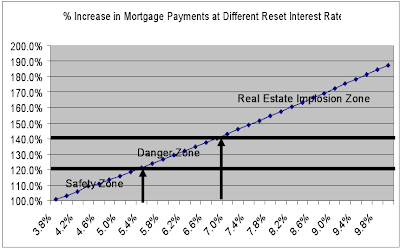 Fence-sitters have been seduced by hyper-low interest rates (can they possibly go lower?) and a coordinated communications campaign that speaks to emotions rather than intellect. We have collectively lost our marbles. I expect to hear in the coming weeks that developers are ramping up work again at previously canceled projects--that's just how disconnected from economic reality our real estate market has become. In 2009, the federal budget will set a record deficit never before seen in Canada. The provincial budget may follow, or worse, government lay-offs and budget cuts, and the subsequent economic shock wave they will create will work their way through BC's already strained economy. Household debt in Canada, and I suspect the west coast leads the trend, has skyrocketed to a total of $1.3 trillion or roughly $36,000 for each of the 36 million or so breathing souls inhabiting our nation (I believe this number excludes mortgage debt). That number is more than double the national government debt load. And to top it off, the BCREA revised their forecast for the rest of the year today to state that prices have fallen as far as they will. I'm reminded of my days in grade school where the popular kid used to brag about how daddy used to buy him all the cool toys: he'd always bring one of them to school, but you'd never be allowed to come over to play with them all together. Eventually I started to see the bragging for what it was and stopped believing it. Needless to say that kid stayed popular. And I wasn't. Sometimes the world just doesn't make sense. This spring has been predictable (even though I underestimated the volume of sales and the lack of new listings). 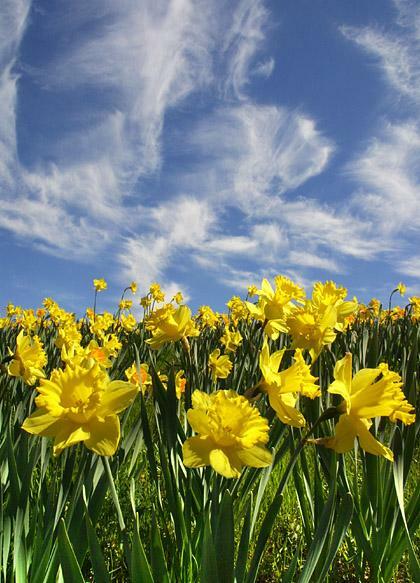 Sales increased, both volumes and prices, as they typically do every spring. But after a dismal fourth quarter 2008 and first two months of 2009, the True Real Estate Believers™ banged the bottom drum loud. With a little help from the Bank of Canada and the short-term-only view so prevalent in our peers, many people are buying the drum beat--both literally and figuratively. I think you'd be hard pressed to find someone not actively researching real estate who thinks prices will drop further this year, even though they're being warned by the CREA, BCREA and CMHC. "See, I told you prices don't really go down, and if they do, they don't fall far." "We will soon be returning to normal price increases, everyone wants to live in Victoria." "You should have bought in February, you'd be up right now." "You're missing out on the lowest interest rates in history. Why do you keep throwing money away on rent?" This is why all of the focus is on attracting first time buyers into the market. This market needs the "green shoots" or it will wither. The trouble is, regardless of how many new bulbs it plants, this market is teetering on the edge of drought. Last May, all was well in Victoria. Business was booming, people were earning and everywhere was hiring. Our economy was diversified and isolated at the same time. We were different, we had government and military and construction and technology. Yet prices fell. And no one, nowhere in the media, even attempted to accurately explain why. It was just that "first time buyer's were sitting on the fence." But prices dropped because we'd reached an affordability limit for FTBers. Interest rates nearing 6% made it near-impossible for many first-timers to get into the market. But people were still employed, the outlook was still "Canada will avoid recession" and our real estate market didn't suffer the same fundamental weaknesses found around the world. Then October happened. Stock markets crashed and the 0 down 40 year amortization mortgage disappeared in Canada. Nothing sold in November, December and January. We were told we were in the midst of a confidence crisis but our fundamentals were strong. Until they weren't, and government stopped hiring and contracting out, then started talking about 4 day work weeks, and construction starts stopped, and technology companies dependent on government contracts started worrying. Then interest rates plunged for two months, along with inflation and consumer spending, until the attractiveness of cheap credit outweighed the realization of "I can't afford all this debt I have." Home prices had dropped (though not in the entry-level SFH segment) and first time buyers got off the fence. They bought in March and again in April. May 2009 looks like it will surpass the sales volumes of May 2008. But inventory remains stable, it's not going down. And that is a problem. Every time a house is sold, another one comes on the market. Sure, some really great homes are attracting multiple offers, but the majority of places are taking time to sell and are only selling if they were priced with a sharp pencil. And that is why prices are "stable" and not rising. So far this year we've seen prices bounce in a range of 5% which is exactly what prices tend to do in Victoria between months. Yet some of the industry talking heads are calling bottom, usually carefully couched in a question: "with so many sales and stabilizing prices, have we hit bottom?" Three months of sales data is usually a good indicator of a trend in real estate. May numbers will be out in just over a week's time. I suspect we will see prices increased over April along with sales being higher than May 2008. The beating of the True Real Estate Believer™ drum will be deafening. But will the trend continue into June and July? According to published incomes on government job opportunities web pages, pay is highest in Edmonton, and then Regina. Victoria pays, on average, 10% per year less for the same job in the public sector when compared to Edmonton. According to median income data, Edmonton is $76,300, Victoria is $61,700, Regina is $59,100. Clearly, Regina's private sector employment prospects are quite probably less inviting, however, in the case of Ms. HHV's employer, job classifications do not change with regions, which means should she transfer to another province, her pay will remain the same. In Edmonton, there are 983, 3 or more bedroom, 2 or more bathroom SFHs for sale under $400K, in Regina 375, in Victoria, 32. Edmonton is approximately twice as populated as Victoria. Regina is approximately half as populated as Victoria. This comparison is not meant to argue that one city is better than another. I know where we want to live. But I also know where we aren't happy with how much it would cost us to live. We're simply seeking an enjoyable lifestyle with a reasonable cost of living. We are only willing to hold a mortgage of $250K, which is roughly 50% of what we currently can get qualified for. Let's see what that gets us in each city shall we? We haven't come to any conclusions yet. But all of our research is leading us to this question: just how much of our future are we willing to leverage to live in Victoria? There has been plenty of discussion recently on whether rising interest rates will have an impact on the real estate market in Victoria. Some people have argued that interest rates will have a limited impact on the market or the government will step in and protect homeowners if rates rise too high. I thought it would be good to look at two examples where rising interest rates did have a dramatic impact on housing demand and prices to see what we can learn. The first example is the early 1980s, when after sharp real estate price gains in the late 1970s we saw interest rates skyrocket in 1981 and 1982, causing many people who had their mortgage come due to default on their homes. Real estate prices dropped between 25% and 50% across BC communities as many homes went into foreclosure. People often tell me this example is pointless as we will never see these interest rates again. So let’s focus on something that is comparable and that is how much in percentage terms an average family’s mortgage payments rose when they renewed their mortgages. The second example is the recent US housing implosion where home buyers were sold adjustable rate mortgages (ARM) which had teaser interest rates for the first two or three years and then rose to “market” rates thereafter. LIBOR rates to which these ARMs were tied increased as we moved into 2007 and 2008 so when the interest rates reset on these mortgages (sub-prime and non sub-prime) not only did the teaser discount go way, but the base rate had risen causing a massive jump in mortgage payments. The result has been massive mortgage defaults both for sub-prime and non sub-prime mortgages. House prices in markets where these ARMs were common have dropped as much as 50% and some feel the bottom still has not been reached. 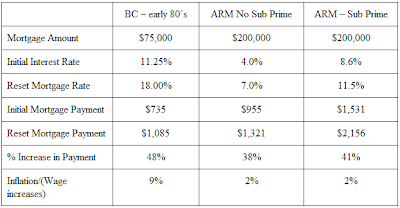 The table below compares the average mortgage payments at the initiation of the mortgage (1977 for BC and 2004 for US) versus the reset cost (1982 for BC and 2007 for US). Considering the high level of inflation in the late 1970s and early 1980s, we can discount the 48% increase in the BC example conservatively to 40% to be more comparable to today’s lower inflation levels. This analysis demonstrates two real examples when mortgage payments rose by 40% the real estate market collapsed. A mortgage broker I spoke to recently told me with these low interest rates far more people are renewing or renegotiating mortgages today than they are selling mortgages for new home purchases. Combine this with the fact that the BoC plans to keep interest rates low over the next year, I expect there will be at least 20,000 mortgages in Greater Victoria being placed at these low levels before rates start to rise. But what happens when interest rate do rise? The chart below takes a 3.75% five year mortgage today with a 35 year amortization and assumes a reset at varying interest rates in 2014 to determine how much payments will rise relative to today’s cost. What this chart tells me is that if interest rates rise to 7% or higher over the next five years there is a high likelihood we will see a serious real estate price correction and prices could correct by 30% to 50%. 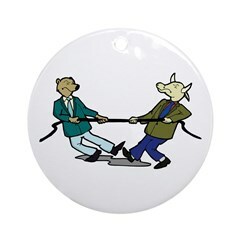 If interest rates rise say to 6.0%, which is where I would forecast assuming we achieve a “soft landing” as Alan Greenspan would define, then we are in the danger zone. In this danger zone a large number of home owners will be in trouble when they renew, but it will not be widespread across the market. In this case price reductions will likely be dictated by how many willing and able buyers there are relative to defaulting homeowners. With all the news about mortgage rates and the spin from VREB and REALTORS it is easy to overlook RE market trends and be influenced by what happened in one month - April. April sales were up significantly from March but are still lower than the levels seen in recent years These lower 2009 sales were with record low interest rates and associated hype. If you take a look at 1st quarter sales you will see that they were dismal. So low interest rates have driven the recent market. Will this continue? There is no disputing that SFH prices have increased somewhat in the last few months but it is the price trend that puts things in context. One or two good months in the peak sales season is not a trend reversal. Even VREB has stated that many sales are taking place at the low end. Oak Bay high end sales have shown typical increases in recent months. Here are the average and median prices but look at the rolling averages and where they are heading. People sell for many reasons but one of the main drivers of any RE market is move up buyers. I believe this crowd is sitting tight because new listings are not showing the big monthly spring increases of previous years. May is going to be an interesting month. It is usually the peak month for sales and new listings (see graphs above). After that sales taper off every month but inventory continues to grow until the end of summer. Once we get to June and July the RE industry will not be able to hype sales; they will be sliding. One REALTOR told me that he believes the buyer pool is getting thin. How many FTB's with a good credit history and 5% down are still out there? Fixed bond rates are starting to move up and fixed mortgage rates will likely follow in a few months. So stay focused on trends and not be swayed by peak sales season hype. I think some of us bears thought we'd see a leak this spring. We didn't get it. I'm not sure we were paying close enough attention to the direction of interest rates, or maybe we discounted the inflamed effect they'd have on this market. I will say this: for all my frustration with the spin that comes out of the media and industry, it's certainly proven effective in Victoria, if only temporarily. The greater fools were enticed into excessive leverage situations (notice the absence on mortgage-type data--I'll bet the high ratio mortgages are flying off the shelves comparatively right now). Despite the cheer leading and patting on the backs of first time buyers coming from the usual suspects, what has happened over the past three months will likely prove to backfire in this market over the coming years. Let the tug of war continue, the bears just gained ten pounds and the ground will start to make it's usual downhill shift in direction for the rest of the year at the end of May.